The 2013 Business Weekly Awards reaches its climax in the coming weeks with judging getting underway in earnest before the winners are announced, Oscar-style, at the presentation dinner on Tuesday, March 18 at Queens’ College, Cambridge. As well as being in the running for individual categories, all the shortlisted companies are in contention for the coveted Business of the Year accolade. Several entrants have been recommended for consideration in multiple categories. Ian Mather, managing partner of lead forensic sponsor Mills & Reeve, said the calibre of entrants was the strongest across the board that he could remember in a long association with the Awards. Mills & Reeve has visited the vast majority of entrants and compiled comprehensive reports for the judges to consider. 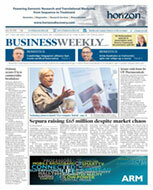 Business Weekly has added reports and forensics and looked at the long-term implications of the science, technologies, business models and management strategies demonstrated by entrants to the East of England and UK economies, as well as the knock-on benefits for UK exports. The reports prepared by Mills & Reeve will form the main plank of the judging process. The judges will bring individual takes on what they consider to be strengths and weaknesses. All shortlisted companies have been told to provide updates of any fresh successes between now and the Awards presentations. Shaun Grady of AstraZeneca is the guest speaker and will be handing out the crystal obelisks to the winners while unveiling AZ’s plans for its move to Cambridge. APC SolutionsAPC Solutions is a leading worldwide specialist in wireless communications, network infrastructure and mobile computing. Founded in 1996 by David Bell and Chris Lynch, APC’s original focus was on commercial IT equipment. However, as wireless technology began to mature, the company began to develop particular expertise in this area and in network infrastructure. APC deployed its first wireless link in 1999, and it went on to add mobile computing to its core business. Arcus GlobalArcus Global has made tremendous strides in its young life cycle. Four years ago, Cloud, Utility and open standards based computing was almost completely unheard of within the public sector. Two Cambridge MBA graduates took up the challenge to change this and in July 2009, directors Denis Kaminskiy and Lars Malmqvist founded Arcus Global Ltd.The company has gone from strength to strength – rising from two employees up to 30 and reaching a turnover of over £2 million this year. With over 50 public sector clients and hundreds of completed projects, Arcus is revolutionising public sector ICT. Axol BioscienceAxol is a startup biotech company founded to fulfil the unmet demand for high quality iPS cell-derived, clinically relevant cells for use in biomedical research and discovery. Its role is to apply cutting-edge stem cell technologies to generate high quality human neural stem cells and neurons. Cerebral cortical neurons are implicated in numerous neurological diseases including Alzheimer’s, autism, epilepsy, traumatic brain injury and stroke. BlinkPipeSpotting a gap in the market for user-friendly, accessible, business video conferencing, two former ARM directors have developed and patented a solution that uses the reliable landline for voice and the internet for video transmitted in HD. Established in 2010, BlinkPipe offers a £49 a month per meeting room video conferencing service with no long term contract. The company obtained seed funding from Red Gate Software (who was also BlinkPipe’s first customer), and has since gone on to win a series of contracts with new customers, including for example Abcam. Cambridge EpigenetixCambridge Epigenetix (CEGX) is a biosciences company that aims to be the world leading provider of high quality, easy to use epigenetic tools. Its starting point is TrueMethyl™ oxidative bisulfite sequencing (oxBS-Seq), a novel technology that pioneers quantitative, single-base resolution sequencing of the modified bases hydroxymethyl cytosine (5hmC) and methylcytosine (5mC). TrueMethyl enables analysis of the DNA methylome with unprecedented accuracy and opens new avenues for basic research, pharmaceutical discovery and diagnostics. Captive Media Captive Media has launched pee tv – a video game designed by fellow Cambridge firm eg technology ltd. The system consists of a hi-definition screen, fitted at eye level above the urinal, where it commands the full attention of the user. It plays a loop of content – mixing ads with venue-selected content from one of six ‘PTV’ channels. But when a user approaches, it flips into gaming mode, using patented technology to detect not only his presence but also the direction of his stream. Cambridge IntelligenceCambridge Intelligence Limited is a leading provider of network visualisation and analysis solutions. KeyLines has been deployed on solutions across law enforcement, cyber security, fraud detection, counter-terrorism, CRM, sales and social/professional networks. Founded in May 2011 by ex-i2 (now IBM) employees, Cambridge Intelligence has attracted interest from organisations on almost every continent with their innovative network visualisation software, KeyLines. CRedit360CRedit360 develops software to help companies manage sustainability, supply-chain and environmental, Health & Safety data. In the last five years, CRedit360’s revenues have grown over 400 per cent to £5m from £1.2m. Some 60 per cent of the company’s revenue now comes from outside the UK. Within the UK, CRedit360 works with 20 per cent of FTSE100 companies. Key clients include Nestlé, H&M, Philips, Heineken, McDonald’s, Barclays and ING. DisplayLinkReinventing the way computers talk to multiple displays, DisplayLink’s semiconductor and software is used in globally branded PC accessories, like wired and wireless USB graphics adapters, universal docking stations, monitors, and zero clients. With DisplayLink technology, expanding a computer’s visual workspace has never been easier, more affordable or power-efficient. e-Luminate Foundatione-Luminate Foundation is committed to inspire and promote creative solutions to today’s energy efficiency challenges, closing the gap between users and energy/lighting innovators and making this world a ‘brighter’ place for all. Through a series of events, installations, workshops and concerts, it promotes light as the basis for creative artistic work and innovative technology. Its annual festival celebrates light, creativity, and innovation to provide a platform exhibiting talent and the city’s landmarks, unique architecture and history in a new light. EndomagneticsEndomagnetics was founded to solve healthcare challenges through the application of advanced magnetic sensing technology. The SentiMag® and Sienna+® device system was developed to increase access to the standard of care in breast cancer staging by providing an alternative approach to locating sentinel lymph nodes. The Endomagnetics system avoids the requirement for traditional radioisotopes in sentinel lymph node biopsy (SLNB), improving workflow and costs while increasing availability of the standard of care. Endomagnetics is also developing a portfolio of associated devices that improve the standard of breast cancer management along with extending the reach of SLNB for other cancers. Green Energy OptionsA smart energy metering company for the home, GEO provides an end-to-end energy management experience. From in-home displays to online appliance control, it gives everyone the power to shape their energy consumption – helping us all save the world (and our wallets). Its products and services include in-home displays, mobile and online services for electricity, water, gas, heat, boilers and microgeneration.From the casual observer intrigued by the cost of running their freezer to the green energy enthusiast with an in-depth knowledge of microgeneration, GEO boasts the perfect energy management package. For utilities & partners it provides an unparalleled customer engagement service to help consumers lower and manage their energy consumption. Horizon DiscoveryFounded in July 2007 by Dr Chris Torrance and Professor Alberto Bardelli, Horizon Discovery Limited (Horizon) has been built upon a 20 year heritage in oncology research, translational medicine and gene-editing. This heritage was the basis of Horizon’s expertise in translational genomics, which led to the development of rAAV gene-editing, a proprietary genome-editing platform based on the stimulation of homologous recombination. By exploiting a cell’s natural means of repairing its own DNA in an error-free manner, rAAV enables the precise insertion, deletion, substitution of a desired DNA sequence into any endogenous gene loci in any mammalian cell. In 2013, Horizon expanded its gene-editing footprint by licensing nuclease technology, which given its ability to generate gene knockouts efficiently and cost effectively, has proven highly complementary to rAAV. These two gene-editing technologies together make up Horizon’s industry leading gene-editing platform GENESIS™. Iceni DiagnosticsUniversity of East Anglia and John Innes Centre scientists have devised a rapid new flu test using gold particles that could help prevent pandemics erupting across the globe. Rob Field and David Russell have already developed a similar sensor for detecting cholera in contaminated water supplies. The team is now looking to commercialise the invention. The new test will literally be gold dust for medics worldwide. It can distinguish between human and avian flu – and it could be used to fight superbugs in hospitals and even to detect toxins like ricin used in bioterrorism. The researchers have patented the quick, simple dipstick test, which uses sugar labelled with gold. Quick diagnosis of flu is important because vaccination and antiviral drugs need to be administered to patients within 48 hours of infection to prevent new pandemics arising. LinaroLinaro is a world leading and fast growing not-for-profit software solutions company, which entirely funded by its Members. Linaro was founded in June 2010 with six Members; ARM, Samsung, TI, Freescale, ST-Ericsson and IBM, and has now increased to having 26 Members. Linaro ended 2013 as the Number Two Contributing Company to the Linux Kernel worldwide, just behind Intel and ahead of other multi-national companies including Samsung, IBM, Google, Oracle and Cisco. Linaro also contributes to Android and the majority of smartphones sold worldwide in 2013 included Linaro’s code, as today do most Linux-based devices that run on ARM processors. Link China Pharma SolutionsLink China Pharma Solutions is a Cambridge based services company which specialises in life science technology brokerage between the EU and China. Many life science discovery companies in their early stages have difficulty of raising funds to support future research. But Link China Pharma Solutions successfully negotiated a multi million pounds equity investment deal for one client; multi million pounds worth of tech transfer and licensed co-development royalty payment for ImmBio-CNBG; and a significant licensed co-development milestone and royalty payment deal for a listed Cambridge BioMedTech company. 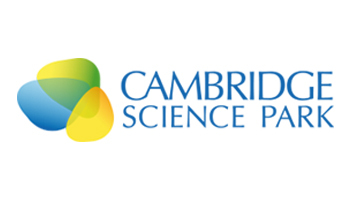 MedImmuneBuilding on the legacy of Cambridge Antibody Technology, MedImmune has formed strong and effective links with the local community in Cambridge – from scientific research and medical collaborations through to public/educational outreach activities. These connections are now being further leveraged as AstraZeneca works towards the relocation of its UKHQ in Cambridge.In 2013, MedImmune’s 25th anniversary year, the company has launched its first drug in the UK, Fluenz – the first influenza vaccine innovation in over 60 years. MedImmune’s product candidates now comprise 50 per cent of parent company AstraZeneca’s (AZ) drug pipeline, demonstrating the company’s scientific, research and development excellence. Naked WinesNaked Wines, the UK’s fastest growing online wine retailer, was born in December 2008 when twelve friends jacked in their jobs during the depth of the recession to do things a little differently. The company’s goal: Find the world’s most talented, undiscovered winemakers and set them up in business. OwlstoneSince spinning out of Cambridge University in 2004, Owlstone’s technology has put it at the forefront of the detection of chemicals using its patent protected FAIMS Technology. The simplicity with which the technology at the heart of Owlstone’s products can be described – an electronic nose to detect chemicals and diseases to quote co-founder Billy Boyle – should not hide the significant advancements that this same technology has achieved to date, particularly in relation to clinical disease diagnosis. RealVNC RealVNC develops software which allows one computer to take over the screen of another. The company has direct sales of shrink-wrapped software products and a royalty-based licensing business. It has grown organically and been profitable throughout its 12 years without external investment. VNC is on a billion devices, and on more different kinds of computer than any other application. It is an official part of the internet alongside protocols for email and the web. RedBite SolutionsRedBite Solutions provide simple, cost-effective, track and trace software and solutions. The solutions support a rapid installation of data capture devices including Radio Frequency Identification (RFID) and barcode readers, both fixed and handheld, and they provide a quick linkage to networked data management facilities. The company was established from Cambridge Auto- ID Lab University of Cambridge. RedBite has the pedigree back to the roots where the Internet-of-Things was first coined in 2000. RedBite’s technology could enable every physical thing in the world to have a unique URL, creating the ability to locate each separate physical thing in the world at any time. SepuraSepura is a global leader in the delivery of critical communications solutions, with over 1,000,000 radios in use in over 100 countries. 2013 has been another remarkable year for Sepura as it executes its strategy by expanding its full solution offering. It acquired Finnish applications developer Portalify, launched its portfolio of DMR radios, and secured its first infrastructure contract in North America. SyndicateRoom Investing in promising start-ups was once exclusive to wealthy individuals and highly experienced investors. Now, with the arrival of equity crowdfunding, it seems that everyone wants to try their hand at emulating the Dragons by investing in these high risk, high reward ventures. However, lacking the Dragons’ experience, the crowd is exceedingly susceptible to investing in lemons. SyndicateRoom provides the next evolution of crowdfunding by allowing members to co-invest with highly experienced investors who have conducted detailed due diligence on all of their opportunities and are investing significant amounts of their own money. TelensaSince 2006, Telensa’s smart‚ low power wireless street lighting technology has been adopted by scores of UK local authorities enabling them to drastically cut energy bills and reduce carbon emissions. 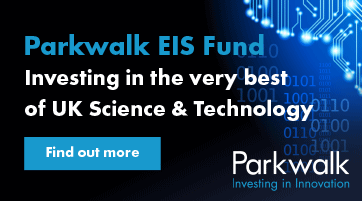 The company is now the UK market leader, with around a 45 per cent share, and its technology is installed in many hundreds of thousands of street lights across the East of England including Essex, Suffolk, Cambridgeshire, Northamptonshire and Peterborough. The Howard GroupThe Howard Group of companies is a privately owned organisation which can trace its beginnings back to the early 1930s. The company is currently owned by the third generation of the Howard family who are closely involved in the business. Over recent years, the company has changed, grown significantly and since the relocation from Bedford in 2005, is becoming known as a major regional property business. TransversalFounder Davin Yap created Transversal as a spin-off from Cambridge University’s Maths faculty. Headquartered in Cambridge, this year has marked a big milestone for the local company as it expanded operations to Germany, the US and Australia. Continuing its success in the UK, too, the company now has over 100 blue-chip clients, doubled its revenue in the last three years and increased its headcount to 75. TrustonicTrustonic launched in late 2012 to enable a new level of security in smart devices. In less than 12 months, Trustonic has launched its t-base product, shipped in over 150 million smart devices. The Trustonic technology allows mobile devices to be used for quick and secure e-commerce, to view premium movie content securely and to use personal mobiles for work through the creation of a secure zone on the mobile. Partners include ARM, AMD, Qualcomm, Samsung, 20th Century Fox, MasterCard, Symantec and Orange. Trustonic provides security at the chip level, separate from the operating system on a mobile device. Such chips will provide a Trusted Environment that can be used to store account information, passwords and other sensitive information, making it easier to use and access these from a mobile device for payment purposes, protection of content such as HD films and to protect identification information. TWITWI and its professional institution, The Welding Institute, deliver a continuous output of advances in materials engineering and joining technologies – critical to engineering design and industry practice. The organisation is responsible for establishing world Standards and Codes of Practice, developing new joining processes and applying expertise to discover why welded joints and engineering structures fail. In 2013 the TWI Group continued to grow, achieving a turnover of around £75m and generating over £9m in cash for re-investment into the organisation for the benefit of their members and stakeholders. More than a fifth of TWI’s business is now generated overseas. UbisenseUbisense has made fantastic progress over 2013 with customer bookings up 87 per cent and an order book up 38 per cent year-on-year as at June 30. The year was topped off with the acquisition of Geoplan Interworks K.K., a Japanese company with offices in Korea and the Philippines, which will drive new areas of international growth for the enlarged group as well as enhance existing client relationships. Ubisense products enable production managers to pinpoint where exactly along a manufacturing production line a part is. Not only does this accelerate the process but can help identify bottlenecks. The automatic identification technology enables the tools to identify the requirements of a given vehicle model and to respond by delivering the precise specifications. Vapourtec LtdVapourtec is a technology company located near to Cambridge in the UK, with many years of experience producing world leading laboratory equipment for in the pharmaceutical drug discovery industry. Vapourtec develop and manufacture the revolutionary R Series flow chemistry system. Many innovative features have been combined to give a platform offering best in class precision and repeatability, faster reaction optimisation, and instant reproducible scaleup. Among the many benefits of the system is its design for easy integration with upstream and downstream equipment. XaarXaar’s technology has converted many manufacturers from inefficient analogue printing to superior digital inkjet, which has particularly transformed ceramic tile manufacturing. Revenue has more than doubled over 3 years. China’s adoption of Xaar’s technology accelerated in 2012/2013, which resulted in sales increasing 78 per cent from H1 2012 to H1 2013. Profit before tax in H1 2013 grew 233 per cent over the same period in 2012, and was greater than the profit achieved for the whole of 2012. As a result of Xaar’s rapid growth in financial performance, the market capitalisation of the company has grown significantly and now stands at £818m. Xaar moved into the FTSE 250 in June 2013. XO1 LtdXO1 Ltd is a single-asset drug development company founded and based in Cambridge. It is staffed by an experienced team of drug development and commercial professionals managing an out-sourced development program. It raised $11M during a Series A investment round in 2013, led by Index Ventures. This amount is sufficient for operations until 2015 and should enable the company to take the lead programme into the clinic and to proof of concept stage. XO1 Limited has an asset and a team with the potential to deliver dramatic improvement in patient outcomes in thrombotic indications, and to offer anticoagulant drugs to patients that are not suitable for the current anticoagulants on the market. ZinwaveRecently acquired by McWane Inc, Zinwave is the only company globally that supplies frequency-agnostic DAS technology. With patented technology drawn from world leading research groups such at Cambridge University and University College London, Zinwave provides a unified solution that enhances wireless performance and eliminates the blind spots caused by structural interference. The concept behind Zinwave’s DAS is derived from a Government funded R&D project which researched the use of mass-market photonic devices to develop wideband technology for distribution of multiple wireless services across all typical in-building fibre types. Zinwave is the only company that has utilised these capabilities to develop an integrated solution that eliminates the frequency constraints of conventional DAS systems.